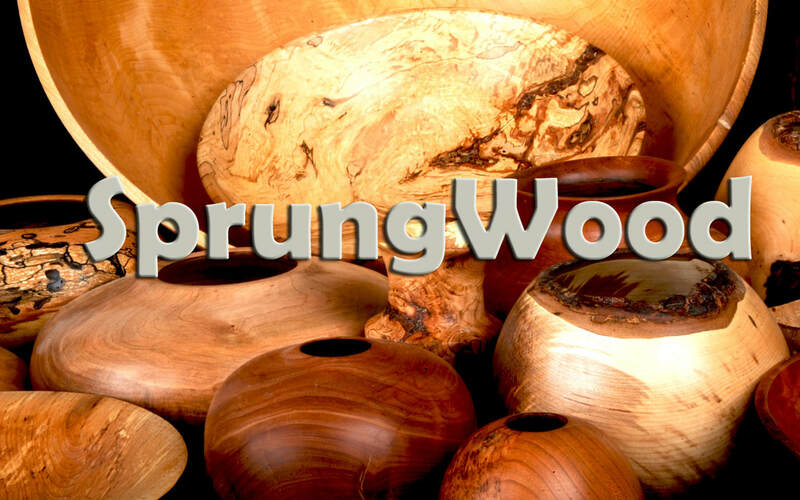 SprungWood was born from the firewood pile. For years I have been throwing beautiful figured Maple, Cherry, Birch, and Ash into the woodstove. A while back I decided to rescue this wood. I started by making cutting Boards, Spoons and other Utensils.All of my wood comes from Southern Vermont. I get some of my wood from loggers rejects. I scrounge logs from my neighbors firewood piles. If you have a nice log I will make something beautiful out of it for you. Custom orders are welcome. SprungWood CAN BE VIEWED IN OUR SHOWROOM showroom in beautiful downtown East Dover Vt. Located at 4 North St in the Post Office building. For the time being we will be available by appointment only. Hopefully in the future we will have regular hours. To see SprungWood call 802-258-0760. Turn your trees into valuable lumber. Get the same big-log capacity as mega-sized industrial sawmills, but at just a fraction of the price. Our mill can handle up to a 36 inch diameter log. We can make boards up to 28 inches wide. Hard wood or soft wood. Shelves, counter tops, table tops, siding, or just plain old lumber to build that barn or chicken coop you have been putting off because of the high price of lumber. Our mill is portable, so we can bring it to you.